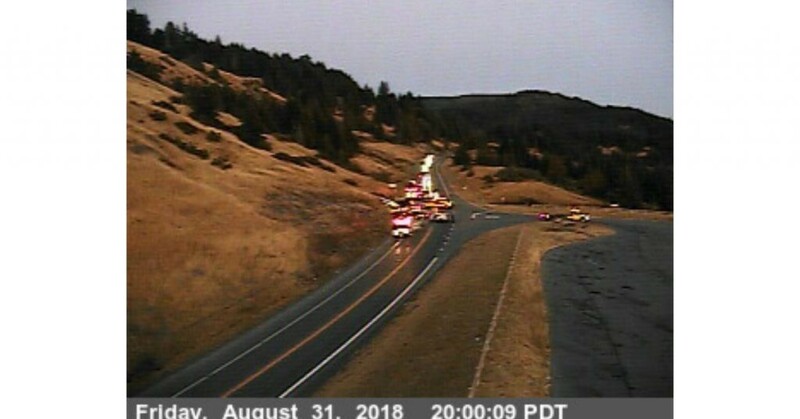 At approximately 7:20 p.m., two vehicles collided at Vista Point on Berry Summit on State Route 299. 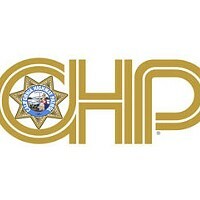 Traffic lanes were reopened around 8:30 p.m. after being closed due to the accident, according to the CHP Traffic Incident Information Page. A Toyota 4-Runner and a Chevrolet Silverado struck front ends, according to the same source. One was pulling a boat on a trailer. Two ambulances were requested, according to a dispatcher speaking over the scanner. 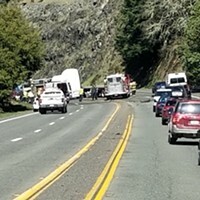 The Humboldt County Sheriff’s Office was directing traffic.